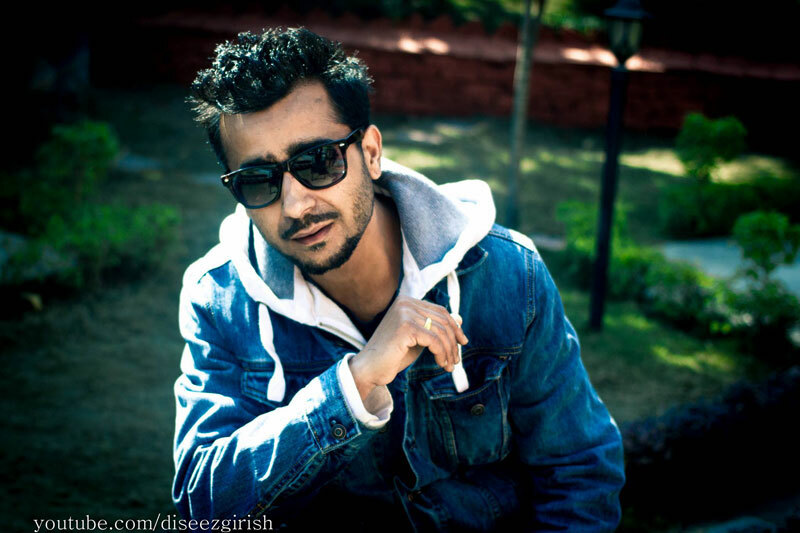 Girish Khatiwada, better known by his stage name Gorkhali G, is a pioneer Nepali rapper, DJ and RJ. 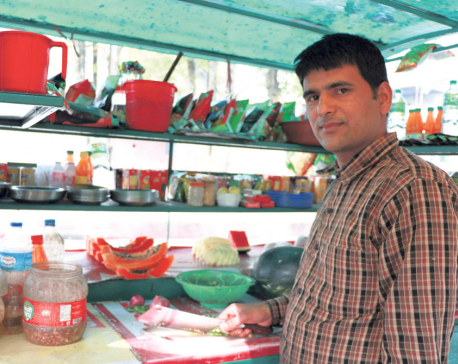 He has been in the Nepali hip hop scene since the nineties. He has released five albums so far: ‘Meaningless Rap’, ‘Back Again’, ‘Girish and the Unity presents X’, ‘Sadak Ko Army’ and ‘Girish Nephop – Greatest Hits’. His sixth album ‘Nakabandi’ is due to release soon this year. 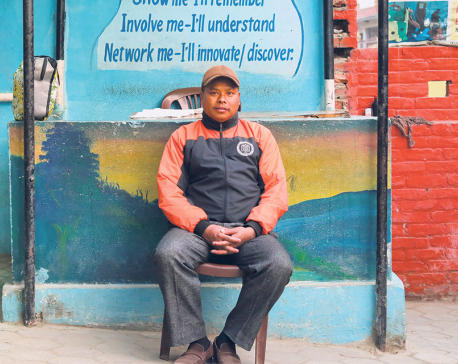 Arun Budhathoki of Republica talked with the artist about his love for the rap music and his thoughts on the current Nepali hip hop scene. How different is today’s hip hop scene from the time when you started? When I started my rap journey it was difficult to make people understand about the hip-hop genre. There were no producers who could make beats for you. Today, anyone can get beats through the internet and post their work on YouTube. Internet has made things easier now for talented artists. It has made things easier for me as well. When I returned from the US in 2011 after seven years, I wanted to release a new song called ‘Kehi Lagdaina’. But many music industry people I knew had already left the country. So instead of approaching mainstream media houses, I uploaded the song on YouTube. After its release, I made a good comeback in the music scene and received a lot of offers for live shows and concerts. From my experience I can say today’s generation has a wider platform to enhance their talent. I don’t think I have received any good advices till now. But I like Steve Jobs’s advice to Nike. He said, “I love your shoes but you have lot of crap things that you need to get rid of.” I can make five beats and two songs in a day but I make sure that only best product comes out in the market. Critiquing your earlier work, what suggestions would you give to your younger self? I was singing at a restaurant when a guy approached me. The next thing I remember is recording my first song at a studio. Later, one distributor agreed to sell that song. First of all I would pat on the back of my younger self because he didn’t start singing for money or fame. One thing that I would advice my younger self is to learn one musical instrument. I think as a musician it will be good if one knows a thing or two about playing an instrument. What has been your biggest failure? What have you learned from it? I always try to be a perfectionist and that has been my biggest flaw. I’m a Do-it-yourself (DIY) artist and want to do everything on my own. I’ve so many ideas and songs in my mind that sometimes I struggle to let them out. I’m slowly learning get out of that habit. I was influenced by Dr. Dre and 2 Pac. It was the best thing that happened to me. After that I came to know Eminem and it changed my life for good. I also have been influenced by Arun Thapa, Harish Mathema and Narayan Gopal since I grew up listening to them. What’s your view on the current status of Nephop? I feel that Nepali youths are spending a lot of money on promoting music videos but they all sound and look the same. They are just downloading beats from YouTube and making 16-bar rap. That’s boring and people will soon lose interest in Nephop if it doesn’t stop. There’s a strong need for emotion, articulation and expression in the Nepali hip-hop music. I suggest that one should focus on melodies, emotions, storytelling and voice pitching. What can we expect from you in coming days? Apart from creating my own musical tracks, I’ll be busy doing music for films. I am also trying to be active and visible online so that I can interact more with my fans. I will continue making music till I die. You should be genuine and original in what you do. Tell your own story.